The Chief Justice, Mrs. Georgina Wood has finally broken her silence by hitting back at her critics who are asking her to resign from her position challenging anyone who believes she has violated any laws of the country to set the necessary constitutional provisions in motion for the appropriate sanctions to be taken against her. The release catalogued a list of public statements made by the Chief Justice since her appointment giving credence to the fact that she was committed to promoting the rule of law, ensuring efficient administration of justice for Ghana’s democratic dispensation to be enhanced. 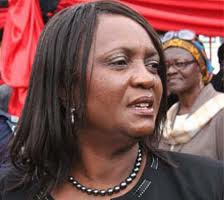 For instance, on July 17, 2008, the CJ delivered a speech at the formal launch of the Peace and Development Concert, at the British Council in Accra, where she was even made the official Peace Ambassador. She made a pledge to lead the judiciary to contribute to promoting peace and good governance by declaring that “I appreciate the sobering fact that an important safeguard of election integrity lies in an effective resolution of complaints and appeals with minimum delay. Anyone who believes she has intentionally violated any laws of this land has a constitutional right to set the necessary constitutional provisions in motion for the appropriate sanctions to be taken against her.